Modern CUVs/SUVs are the most useless vehicles. Gimmicks have killed cars too. So maybe my eyes are deceiving me, but have they removed the B-pillar from the passenger side (left side in Japan) to increase access to the cargo area? I've looked all over the Internet and even translated the site but it's still not clear if this is the case or if it's one of those expanded photos to show how much room there is with the flat floor. It would be pretty cool if they removed the B-pillar. Then again, I'm not sure how well something like this would do in a crash test although this is the same company that built the B-pillar strength into the rear door on the Element - and the Element did very well in crash tests. It doesn't have the B pillar. And they're not the first. Daihatsu did it before. [quote=haji;492528]It doesn't have the B pillar. And they're not the first. Daihatsu did it before. I see the Tanto from Daihatsu also has only the left hand side B-pillar removed. It would be really interesting if they removed both B-pillars as is currently done on the Ford B-Max and was done prior on the Nissan Stanza/Multi/Prairie wagons. I had intended to use the argument that maybe crash test standards are more strict now, but the fact that the B-max has sliders and no B-pillar on either side proves that wrong. One thing I really like about this N-van is how versatile that completely flat floor is. 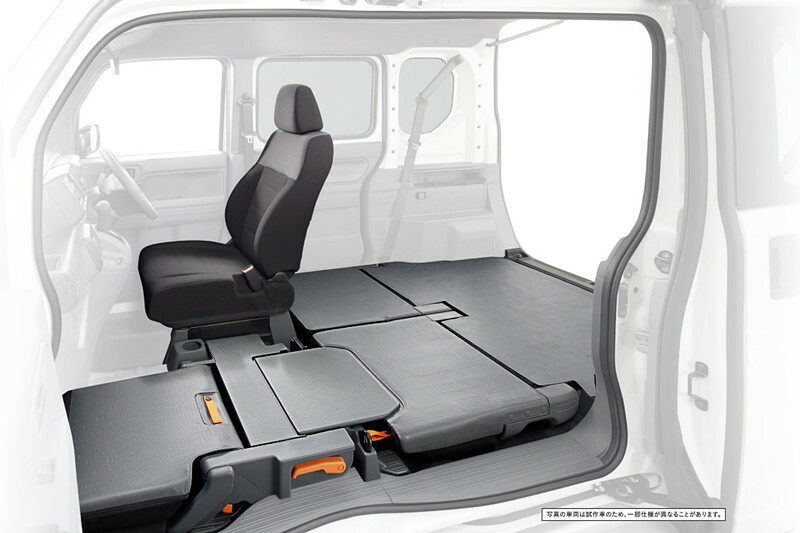 I wish Honda had kept working on an Element replacement where something like this could have been used instead of having to fold the back seats up against the sides of the vehicle. ...I wish Honda had kept working on an Element replacement where something like this could have been used instead of having to fold the back seats up against the sides of the vehicle. Having owned an Element, I agree with you. The Element was obviously hastily engineered. The suspension had a "defect" in that over certain road irregularities the vehicle would rock front to back and side to side simultaneously. It was a very odd sensation. Although I liked the Element I owned, it too easily telegraphed just how cheap its construction was. It also had some issues with component durability that no car should have for the mileage driven much less a Honda. I think the real boat Honda missed was not turning the Element into a pickup. I remember my Element feeling extremely heavy (which was also reflected in the horrible mileage I got with it). Another thing, mine had AWD - the ride height for AWD was a joke because of that stupid "cage" that surrounded the gas tank underneath the vehicle. It didn't take much to hear the scraping as the vehicle passed over a relatively small amount of snow. Ditto mine. My V8 Mustang (auto) usually got better MPG than my Element 5 speed manual got and the Flex that replaced the Element got better mileage all the time. Moreover both Fords were like rockets compared to the huff-and-puff Element. The Accord's V6 would probably had given more power and speed but overwhelmed the terrible suspension.